Rambo Tutoring – Quality tutoring on your terms! Welcome to rambotutoring.com! Thank you for your time and interest. If you’re looking for high-quality math tutoring then you’ve come to the right place. Charles Rambo is a full-time in-home tutor. That means he’ll come to you and work-around you and your family’s schedule! Charles tutors throughout North San Diego County. That includes Escondido, San Marcos, the 4S Ranch area, and Carmel Valley! You name it and Charles will meet you there! You can schedule sessions in your home if that’s what’ll work best for you. If you’d prefer to meet at a coffee shop or the library, that’s great too. Whatever’s easiest for you! Charles tutors all high school mathematics and most college level courses as well. 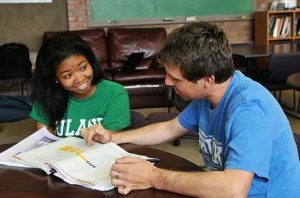 You name it–Calculus, Statistics, the math SAT, the math GRE, and SOA’s exam P–and we can tutor it. Charles has considerable tutoring experience and a degree in math from Berkeley. So you can be confident that he knows the material well and has the ability to teach it. Please feel free to contact Charles, if you have any questions or comments. Charles is friendly and would love to hear from you regardless of whether you’re sure that tutoring is right for you and your family. Thanks for stopping by!